Have you seen BHLDN's new summer collection? We were blown away! From the gorgeous textures to the blissful color palette, we were in awe. The BHLDN team sent over some beautiful images for me to share with you and I'm so excited to hear your thoughts. "She moves to the beat of her heart. The summer sun seems to rise only for her, catching the light as she skims the shoreline. 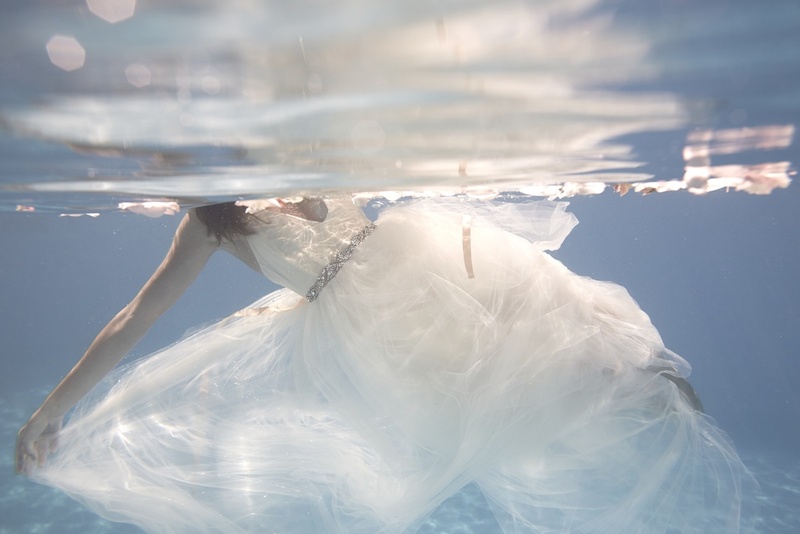 She kisses the sea and falls, heart first, into the blue abyss. It’s that indescribable feeling of falling in love, the feeling that inspired BHLDN to bring “Summer Loves” to life with its latest collection of creative imagery." Tiered layers of rose tulle and glistening sequins highlight the exceptional handwork displayed throughout this collection. We love the natural incorporation of bridal separates and relaxed bridesmaids styles that truly capture the essence of the modern-day bride. Bravo, BHLDN! Visit BHLDN.com to view the complete collection and be sure to tweet us your thoughts @TheStylishOne_!